Kolorjet is one of the leaders among manufacturers and suppliers of a comprehensive range of quality dyestuffs, colors and chemicals for different industrial requirements. Our range of products include dyestuff, inkjetdyes, dyes for wax printing, textile auxiliaries, synthetic food colors, natural food colors, pigments, food ingredients, dyes intermediaries, fine chemicals, specialty chemicals, enzymes, optical brighteners and soap wax dies. 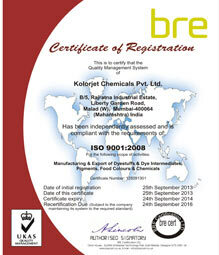 An ISO 9001:2008 certified company, Kolorjet continues continues to play a leading role in the manufacturing of dyestuffs in India with the intent to further strengthen its position for its quality products. With our decades of experience and extensive industry knowledge, we have been able to face the challenges of the global market place and deliver quality products in adherence with market standards and parameters. Kolorjet is a customer oriented company and work with the objective of achieving maximum customer satisfaction. 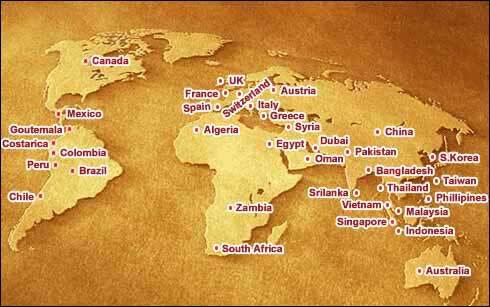 The company has adopted innovative procedures and practices to meet customer expectations every time they deal with us. We always welcome any feedback or suggestions from clients in order to serve them better. Superior quality color, dyes and chemicals matching industry standards and parameters. Proven record in successful of small as well as bulk orders. M/s Kolorjet Chemicals Pvt Ltd. - Reactive Dyes, Acid Dyes & Inkjet Dyes. 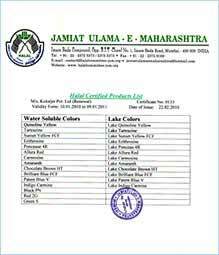 M/s Anjana Industries - Food Colors & Natural Color. M/s Vama Colour Mfg. Co. - Pigments. We, at Kolorjet, understand our responsibilities towards society and environment in which we operate. We give prime consideration to health & safety, environmental protection & accident prevention in line with any other phases of operation or administration. We are a socially conscious company and work with the policy of providing and maintaining a safe & healthy work environment. Our operating procedures and organizational policies ensure strict adherence to practices that will safeguard the interest of all stakeholders, society and the environment. Assistance regarding product technical information, features, benefits and limitations. Guidelines about about product process and application. Economical shade matching of compatible dye stuffs in order to achieve appropriate and reproducible shades. Field Technical Services - Field technical service include Visits, technical discussion, trials, laboratory scale, pilot scale and shop floor bulk analysis. 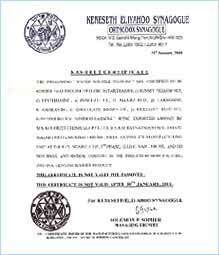 Assistance regarding the identification of new products, promotion and launching. Analysis of different products, their comparison regarding cost effectiveness, limitations and weaknesses.